At launch, 10 All Access will also be giving Australian viewers access to new CBS primetime series months before they air on Network Ten, including the new series Happy Together as well as new seasons of current shows such as MacGyver. "The launch of All Access here is a unique opportunity to expand the 10 brand in the market and create more connections with Australian audiences," CBS global distribution group CEO Armando Nuñez says. “It's also a synergistic business strategy between CBS and 10 that expands the international footprint of All Access and complements 10's existing digital platforms and the linear broadcast network." A price tag for the service has not been revealed, with Ten stating it will be announced shortly. In the US, the cost for the CBS All Access service is $5.99 USD, which is roughly $8.50 AUD. In addition, 10 All Access’ library will include current shows, past seasons and TV shows from Network 10 and CBS such as CBS drama The Good Wife, NCIS, Frasier, Cheers and Survivor, as well as Australian programmes like Neighbours, The Bachelor Australia, The Bachelorette Australia, The Living Room and I’m A Celebrity…Get Me Out Of Here!. 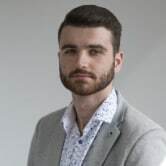 While the network has emphasised that the launch of the All Access offering will not end the use of its catch-up platform TenPlay, questions remain as to how limited the catalogue will be, with previous seasons of both The Bachelor and Bachelorette currently available. "It’s great to be working with CBS to give All Access a fresh Aussie twist! 10 All Access fits perfectly into the 10 family and will play a huge part in our future," Network Ten CEO Paul Anderson says. More to come on the Ten's Upfronts. 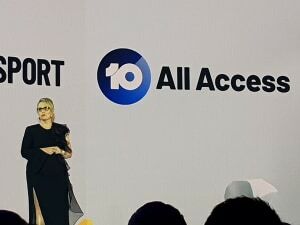 Network Ten and CBS have revealed details behind the launch of its newest streaming video on-demand (SVOD) platform 10 All Access, at its Upfront event in Sydney. The service, which will operate in a similar fashion to that of its parent company's platform CBS All Access, will feature more than 7,000 commercial-free episodes when it launches in December this year. This will include the debut of three CBS All Access original series in Australia – Tell Me A Story, One Dollar and Strange Angel – as well as the first season of CBS All Access’ The Good Fight.